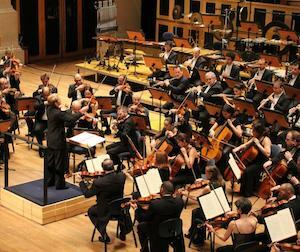 The 47th edition of the HK Arts Festival began its month-long celebration with a first-time visit from the São Paulo Symphony Orchestra led by their music director, Marin Alsop. As yet, neither the ensemble or its maestro had been heard by me live, so it was with considerable interest that I took my seat and awaited the downbeat. Without a doubt, the highlight of the night came with Ning Feng’s remarkable interpretation of Paganini’s formidable first violin concerto. The technical challenges of the outer movements—a walk on fire for all proponents—were tossed off with deceptive ease (including the colourful left-hand pizzicati), appropriately bookending the Adagio espressivo where all concerned dug deep into the legato lines and emotional variants in a truly memorable manner. Merci mille fois. After intermission, the excerpts from Camargo Guarnieri’s Suite Vila Rica acted as the delectable sorbet, cleansing the palette and aptly demonstrating how accomplished this Brazilian orchestra is. The most mature musical writing of the night came courtesy of Richard Strauss’ spectacular Rosenkavalier Suite. Alsop led an impassioned performance, only to craft the music more vertically than horizontally, letting the orchestration lead the way at the expense of continuously forward flow that is so important if the music is really to take flight. With another concert from these artists less than 24 hours away, I will be curious to see and hear if my initial impressions are validated anew. Here’s a video recording that—literally and metaphorically—can’t crack a smile, despite the various talents involved. Mintz is more than up to the technical pyrotechnics required (if just a tad light on the double-stop harmonics), making the wonderfully dramatic Adagio espresso the best movement of the three. Scoreless Levi tries his best, but cannot truly drive his charges into the realm of razor-sharp ensemble. Sadly (in more ways than one), the dour faces of maestro and players finds its way into the music, leaving the notion of incredible artistry, happiness and joy too far off-stage to realize Paganini’s intent.